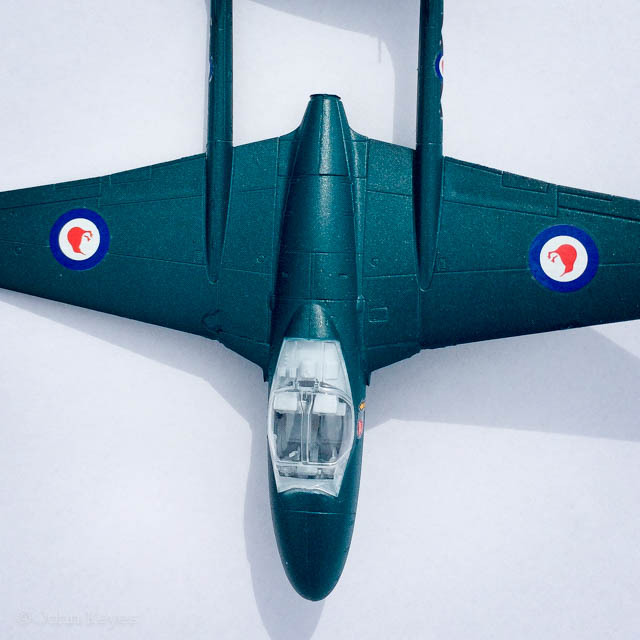 My nephew and I made the Airfix De Havilland Vampire Starter Kit over the weekend. 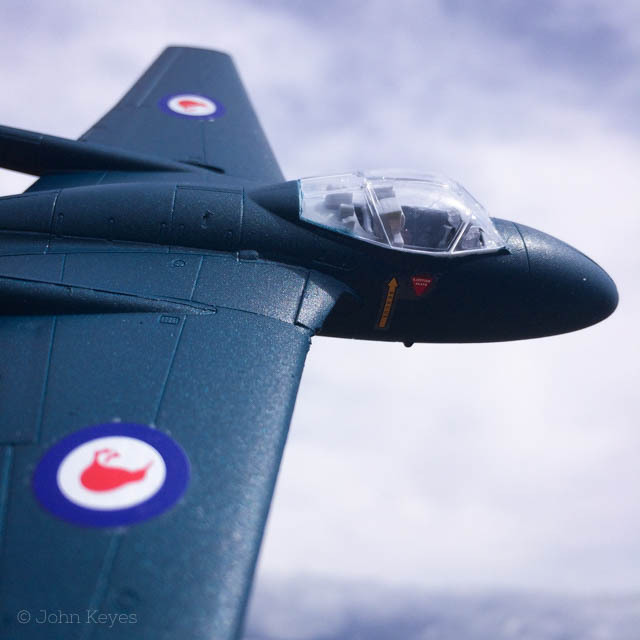 It was a very easy kit to make, and perfect as a first time kit for a youngster. We didn’t use the supplied Humbrol cement, we stuck to the tried and tested Revell Contacta Professional. We also didn’t bother with the supplied acrylic paints, instead we sprayed it with some Halford’s Grey Primer and then some Halford’s Ford Caymen Blue to finish.